As Unilock Authorized Contractors, Proscapes delivers beautiful, functional patios that last for years to come. Custom Patio Design & Installation. 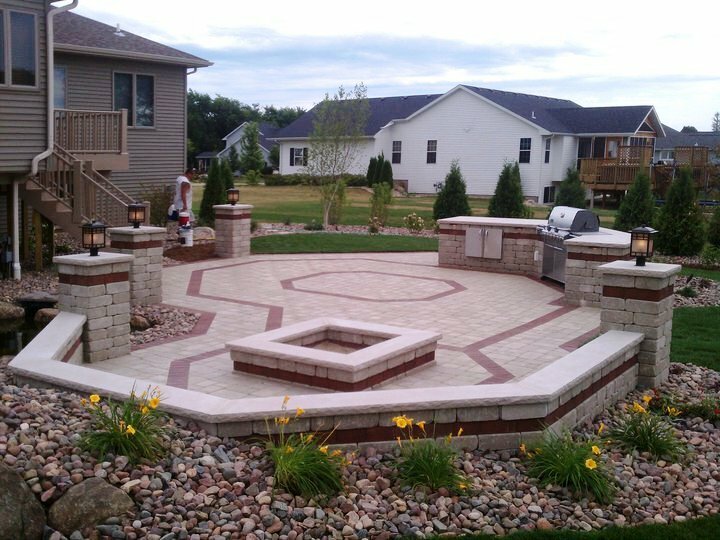 For over 19 years, Proscapes has designed and installed outstanding patios and outdoor living spaces in the Madison and South Central Wisconsin areas. Rated A+ by BBB for almost two decades and a proud a recipient of multiple Unilock Awards of Excellence, our team of certified professionals has the skills, expertise, and work ethic to turn your backyard into the perfect additional living space your home needs. Above all, we’re committed to providing the highest quality craftsmanship and service. Recognized by leading manufacturers including Unilock - a premier manufacturer of paving stones and retaining wall systems - Proscapes was hand-selected to be a Unilock Authorized Contractor. Bringing extra peace-of-mind to our customers, this certification means that Unilock also stands behind our work for a period of 2 years. To learn more about the Proscapes approach to patios, schedule a consultation today!